While our tour guide was very nice, there were a couple of times when my husband and I almost turned around and walked back onto the ship. The meeting area for the tour was very sketchy and intimidating, as was the walk to the car. The car ride was very unpleasant as our car was dirty and smelled terrible. This tour was absolutely amazing. Our driver was so friendly, and knowledgeable. He took us to a butterfly garden, an animal sanctuary, shopping, and to the beach. I got to hold a sloth! It was so incredible. I would definitely recommend to anyone that they take this excursion. It was private, so we were on our own time, and the price was very reasonable. I would go back to Honduras now, simply because of the experience we had on this tour. We spent a lot of time trying to figure out what to do and it did not seem like our guide had many suggestions. We enjoyed what we finally did held a sloth and went zip lining, but I feel too much time was spent driving around aimlessly. When asked to go out to lunch, we were brought back to where we had zip lined. I feel that he should have known that if we had wanted to eat there, we would have done so when we were there. So basically, if we had been more prepared for what was available on the island and knew what we wanted to do, it would have been great. But we should not have relied so much on the guide for options. I have taken many private tours and have relied on them in the past, but this goes to show that not every tour guide is as good as the next. I think I will be a little more prepared for whatever tour I do next. But overall, the guide was pleasant and took us wherever we asked. This tour gives a taste of the island, its history, culture, and beach life. The driver/guide Shorn was informative and went out of his way to accommodate us with whatever we chose to do. The only challenge is the condition of the roads. For a small island, there isn't really a lot to see but the driver wasn't very enthusiastic and didn't show us very much of the island. It was ok. The animal rescue they took us too was cool and we got to hold a sloth. Granted we had an older person who couldn't do anything high intensity so we just wanted to see the island. We went to a cool beach w/ a great vibe and bar and a nice gift shop w/ decent prices. Then we asked for a good place to eat lunch w/ local food and we were taken to what was tourist trap, they did serve iguana, but the food was not very good, rice beans we dry and cold. It was also 15 a plate for not much.I think the guides get kick backs to take you to certain places. Maybe we should have done the Little French Key tour, but we wanted to see more authentic life, but instead we saw the turist stuff. 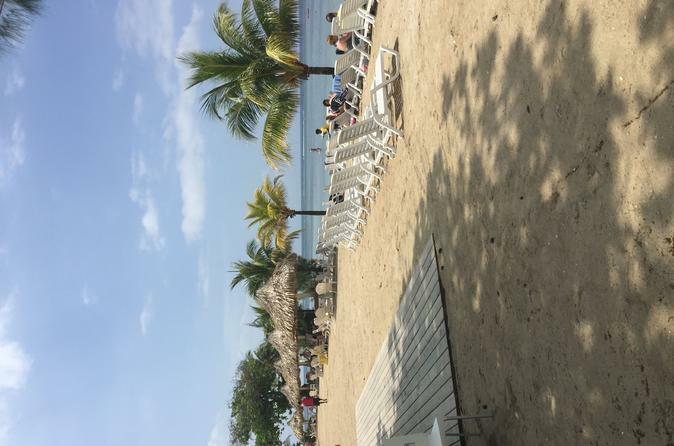 We were off a cruise ship and i had wanted to vacation to Roatan for awhile, we normally do resorts, this tour made me think there are other places I would rather go, but maybe I just didn't see the right stuff. The guide was nice enough, nothing special, but nice. The tour guide was excellent and showed us most of the isle. He took us to a local seafood restaurant and the food was good. The beach was not that good because the water was very cold. Meeting the tour guide was a bit of a hike as Carnival does not allow them entrance to Mahogany Bay. Fortunately they allowed them to drop us off there. The tour was a great overview of the island and the guide was very knowledgeable. He was very flexible and left the itinerary up to us. We had a wonderful day in Roatan. Dario was our driver and did a fantastic job of explaining the history of Roatan and all the great spots to stop and see. He was very personable and a great asset to the team. 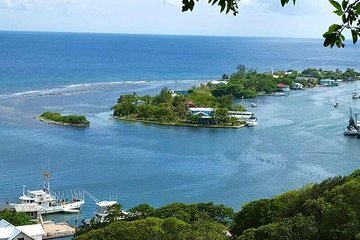 I highly recommend the tour, as you see the island from a locals point of view, as well as being able to customize your itinerary.